LAHORE, Aug 28 (APP): Pakistan Muslim League-Nawaz (PML-N) remained top political party by winning 11 National Assembly and 22 provincial assembly seats in by-elections during last three years (after General elections 2013). 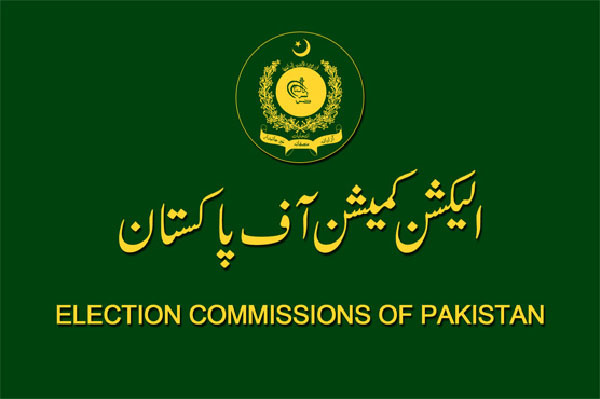 According to data given by the Election Commission of Pakistan, Pakistan Tehreek-e-Insaf (PTI) secured its second position by grabbing 6 National Assembly and 10 provincial assembly seats while Pakistan Peoples Party Parliamentarian got third position by winning 4 National Assembly and 10 provincial assembly seats during a period of May 2013 to May 2016. Similarly, Muttahida Qaumi Movement (MQM) grabbed two national assembly seats, Awami National Party one, Pashtunkhawa Milli Party one, while independent candidates achieved two seats of national assembly. In provincial assembly competition, independent candidates grabbed 3 seats, Awami National Party, JUI-F 1 and National Party remained successful on one seat respectively. Major competition were seen some of the constituencies including NA-1 Peshawer where Alhaj Ghulam Ahmad Bilour of ANP remained successful with 34386, NA-19 Haripur where PML-N’s Babar Nawaz defeated PTI’s candidate Dr Raja Amir Zaman with a huge margin grabbing 137227 votes, NA-48 Islamabad, where Asad Umar of PTI got success with 48073 votes, NA-149 where from Malik Muhammad Aamir Dogar, an independent candidate (with the support of PTI) remained successful, Muhammad Ali Rashid of MQM secured NA-254 with huge margin for MQM and NA-154,where top leader of the PTI Jahangir Khan Tareen defeated PMLªN’s Siddiq Baloch. The most interesting battle of NA-122 was gone in favour of PML-N’s Sardar Ayaz Sadiq with a small margin defeating PTI’s top leader Abdul Aleem Khan. Pakistan Muslim League-N’s total National Assembly (NA) seats were; NA-129, NA-19, NA-122,NA-69, NA-137, NA-108, NA-68, NA-71, NA-83, NA-103 and NA-101. PTI’s total NA seats; NA-5, NA-13, NA-25, NA-27, NA-48 and NA-154. Similerly, PPP; NA-177, NA-235, NA-237, NA-218. MQM; NA-254 and NA-246. Pashtoonkhwa Milli Awami Party; NA-262 and Independent; NA-149 and NA-144.